It was earlier this year that Reliance’s Michael Clark suggested he might take part in the Movember charity event; an annual global fundraising project “committed to changing the face of men’s health.” Sponsorship is attracted by the participants growing moustaches throughout November and awareness is raised of the health risks affecting men. Funds go to support 800 programmes in 21 countries where there are critical key challenges. The foundation is primarily concerned with developing an understanding of prostate cancer, testicular cancer and mental health issues. Mick, who joined Reliance’s turning department earlier this year, saw first hand what a lack of awareness and experience of health issues can cause when, in a previous employment, a colleague developed testicular cancer. He felt that backing the Movember campaign at Reliance would be an ideal way to help the charity achieve their aims. That idea was supported as numbers swelled quickly into a twenty plus group collectively known as the ‘Reliance Moustache Massif’. The ‘RMM’ cultivated moustaches of many shapes and sizes, with some members unwittingly taking on the appearance of 1970s film extras. Towards the end of the month, most had managed a respectable growth, but more importantly, they had stimulated discussion of the issues surrounding men’s health. 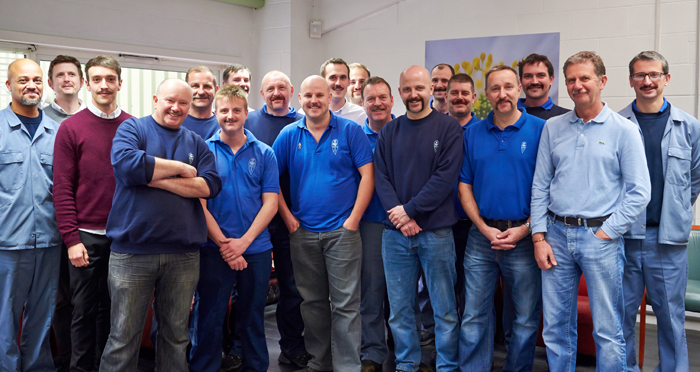 In addition to raising a substantial amount for the Movember foundation, the fundraising was kindly endorsed and supported by Reliance Precision who bolstered funds with a generous company donation.